From Rte. US-22 heading east, turn right onto Rte. 160 South. Turn left onto Fairlane Rd. which will turn into Evergreen Rd. 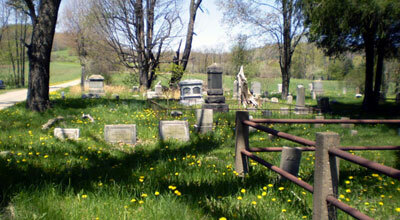 The cemetery will be on the right side of the road just at the Wilmore boundary line.